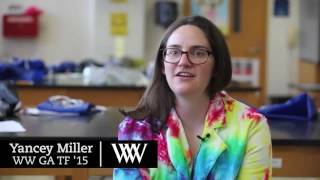 Due to continued interest, the WW Teaching Fellowship application remains open. 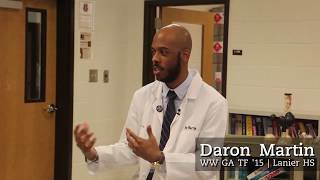 The Woodrow Wilson Teaching Fellowship seeks to attract talented, committed individuals with backgrounds in the STEM fields—science, technology, engineering, and mathematics—into teaching in high-need secondary schools in Georgia and Pennsylvania. The Fellowship has also prepared over a thousand teachers in Indiana, Michigan, New Jersey, and Ohio. Eligible applicants include current undergraduates, recent college graduates, midcareer professionals, and retirees who have majored in, or have extensively studied, one or more of the STEM fields. 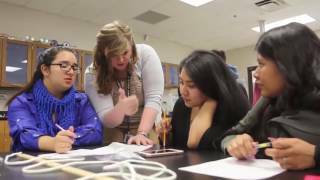 As part of their commitment to ensuring the success of students in high-need secondary schools, Fellows teach for at least three years in an urban or rural school district. Continuation as a teacher of record is contingent on the Fellow's completing the master's degree and obtaining appropriate teaching licensure. Have questions? Schedule a call with a member of the WW Teaching Fellowship team here.